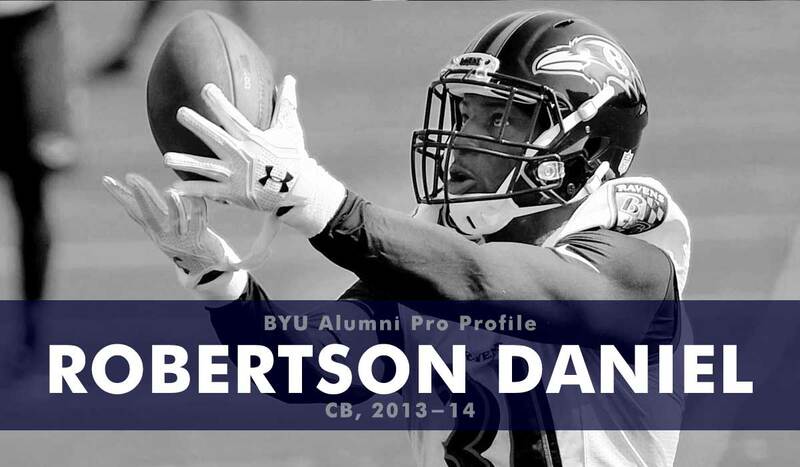 Following high school Daniel attended De Anza College where he was an All-American safety. He transferred to BYU for his junior season, where he had 66 tackles (49 solo), one sack, one tackle for loss, two interceptions, two forced fumbles, and nine pass breakups. He was named to the Phil Steele All-Independent second team. As a senior Daniel had 44 tackles (38 solo), an interception, one forced fumble and two fumble recoveries and 14 pass breakups. Daniel had 23 total breakups over two years (tied for No. 1 in BYU history) with 110 tackles, three forced fumbles, two fumble recoveries, and three INTs. Daniel was not drafted in the 2015 NFL draft but did sign a free agent contract with the Oakland Raiders. From 2015-18 he bounced around the league playing on the practice squads at Oakland, Green Bay, Washington, and Baltimore. He played in one game for Baltimore in 2016 but recorded no stats.